At 31-W Insulation, your home’s comfort is our business. That’s why we offer comprehensive fiberglass insulation service to homeowners like you in the Woodstock area. In fact, we’ve been insulating homes since 1972, and have developed a well-earned reputation for delivering top-notch workmanship and attentive customer service. For proof, look no further than our long-held A+ rating from the Better Business Bureau. As a family-owned and -operated company, we understand how important your home’s comfort is to your health and well-being, so we make home insulation service one of our top priorities. We carry premium fiberglass insulation from the leading manufacturers like Owens Corning® and CertainTeed to give you options that will reliably boost your home’s thermal efficiency. Plus, our insulation comes in a range of thicknesses and densities to provide you with the specific level of insulation that you need. Additionally, you will enjoy a quieter home due to fiberglass insulation’s noise-dampening properties. 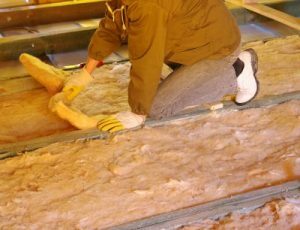 If you’d like to learn more about our fiberglass insulation service, contact 31-W Insulation today and let us schedule a free consultation at your Woodstock-area home.